Come support the LUHSD educational foundation. 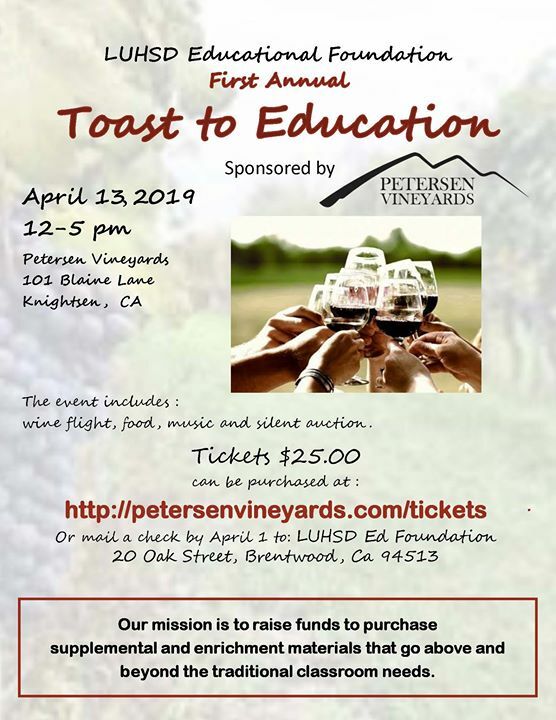 Spent an afternoon wine tasting at Petersen Vineyards, while enjoying appetizers and music in the beautiful spring vineyard. Included in the price is a flight of 5 award winning wines to sample.